We have begun our four-month Home Assignment in the US (2yr in Angola, 4mo in US) and, upon entering the country, we were gifted with a colorful autumn in Charlotte and thick, fluffy snow in New York. Over the course of a week, we were able to meet with our beautiful SIM organization, a passionate group with AGA (Advancing the Gospel in Angola), and leaders at Samaritan’s Purse who have worked in Angola. We were so encouraged and loved at each stop. We then picked up Meredith in New York and have been in Toledo with Tim’s parents since Thanksgiving. I have battled a nasty facial infection that is resolving, a sprained lower back that is also improving and I’ve scheduled a total-knee renovation for December 15th (I’ve had continual pain since the surgery a couple years ago and I’m hopeful that this arthroscopic surgery will correct the cause). I guess sometimes one must just rest! We look forward to the Holidays with Tim’s family in Toledo, a family week away (just the six of us), and we then have the blessing of giving our beautiful daughter, Ellie, in marriage to a wonderful young man, David Steltz, in Rochester, NY on January 7th. I would like to share with you briefly about our ministry, our vision and our current financials (we are committed to transparency and trust). We seek to assist especially those living remotely, removed from access to churches, hospitals, etc. 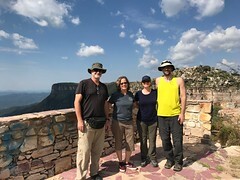 We live and work in Cavango, a remote former Leprosarium in central Angola, about 5hr by car to the nearest city, and about 10hr from the main city in the southwest part of the country, Lubango, where most of our missionary colleagues live and work. I also travel with MAF (Mission Aviation Fellowship) to other remote areas, difficult to access by car, to hold clinics and to teach about the Good News of our Father’s affection for us. My months are typically divided into two week periods, the first two weeks monthly in Cavango and the last two weeks traveling to various harsher areas in the country via MAF. 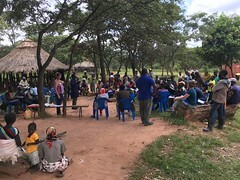 We seek to fulfill our vision by accurately diagnosing and treating the specific ailments of each patient (there are more patients than we can see at each location), teaching the general population (those waiting to be seen and their families) about achieving good physical and spiritual health, teaching the local health care workers in each location as they “shadow” me while I work, and leading a discussion before each clinic day about the good news of Jesus’ eternal grace and love. 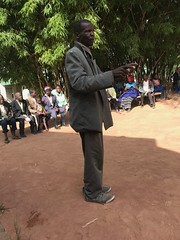 We pray with each person we treat, encouraging them that only God gives life (and heals disease), and that He loves using tools to do His work, as Jesus did with mud and spit (and carpentry). We also teach that our Father loves using people to help people (“…as I have loved you.”) and that He will often use doctors/nurses/parents/friends, instruction, wisdom and medications to assist in achieving health/healing. 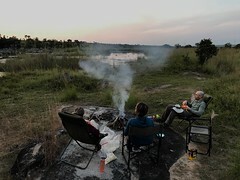 We currently have a beautiful supporting team of between 80-100 individuals/families, each contributing a variable amount to our work throughout the year. Some give annually, some monthly, some occasionally, from $10 to $1000 per month. We are also supported by two churches, VCDC – our home church and Vineyard Toledo. 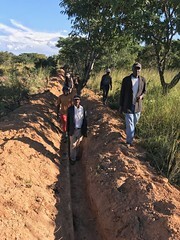 We cannot live and work in Angola apart from our financial contributors, and we are truly partners in this work, interdependently working together to see these forgotten people well physically and knowing Jesus personally. We are a body – legs, arms, hands and fingers involved in touching each person. 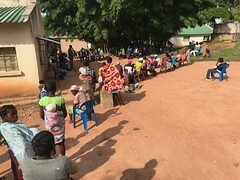 The rural people of Angola that we serve would not have health care and many would never hear the good news without both your financial contribution and our presence among them. My Father often stops me during the day to remind me of this fact, and that it isn’t my work that makes these folks better, but it is His work, through a beautiful body, all organized by Him. 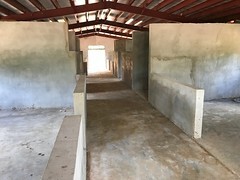 I would like to invite you to join our team of contributors, and take part in the beautiful work in Cavango and the MAF clinics that, as you can see, I cannot do alone… I can’t think of a better place to have a direct impact on “the least”, the hurting, the forgotten of this world (which is why we are here). Please consider asking our Father if He would have you participate in this work with us. 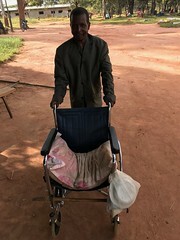 You can most conveniently give through www.simusa.org to our name or to the Rural Health Care Project in Angola, where your hard-earned money will either support us or directly help individuals in some of the most remote regions receive appropriate medication and a word from our Father. We would like to share our financials with you, our faithful team that has sent us here (through your giving) and that allows us to impact so many lives through health care and the word of Jesus’ grace. Our personal salary will remain at $3,263/month and any additional money we receive goes to health insurance, rent, work-related travel, medications for patients, airplane fuel for the small planes that MAF uses to transport me to remote areas, etc. The money given to the project mentioned above is separate and is spent only on expenses directly related to our ministry (medication, fuel for the airplane, hospital expenses at Cavango, transport for surgical patients, etc), and none of it is used for our personal expenses. Please contribute to one or more of these specific needs or you can give generally to our support account or to the project and we will spend your contribution according to need. * If you know us or our history at all, you know that we take very seriously the trust placed in us to use all contributions for their intended purposes. 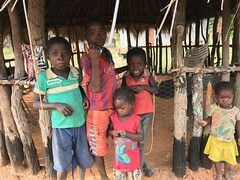 Thank you for your trust and for joining us in reaching these beautiful people of rural Angola. Thank you for this letter. I hope your health gets better quickly, both the facial infection, and the knee pain. It sounds like you are planning to stay in the Cavango area? May the Lord join many supporters to you, just the right ones, who will help in abundant ways.